I am super excited to announce an up-coming challenge that I'm running through my personal training site - Where's the Beach Fitness. My 12 Days Of Fit Christmas Challenge will begin on Sunday, December 14 and run for, you guessed it, 12 days. With this challenge, you have the chance to win 1 month of free online training*, or you can just do the challenge for fun! I'm sure you've likely seen some Christmas or Holiday workouts, even 12 Days of Christmas workouts. 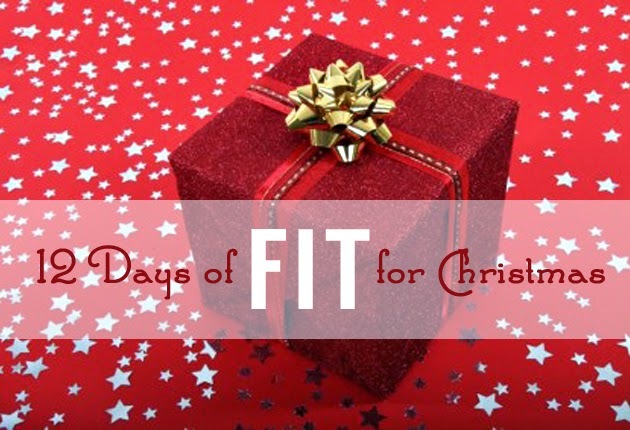 What's so different about this 12 Days Of Fit Christmas Challenge? You don't get the workout in its entirety in advance. You will need to register so that you receive the daily workouts via email. I will also post the workouts at 12 Days of Fit Challenge Page and on my Facebook Page. Each day leave a comment on the 12 Days of Fit Challenge Page letting me know that you completed the exercises. Comment is required. For fun, you can also Instagram or Tweet using #12FitDaysChallenge and/or tagging me (Instagram | Twitter). Complete all 12 days and comment each day and you will be entered into a drawing for a chance to win 1 month of free online training*. As a bonus, even if you aren't able to complete all 12 days, I will be offering participants a discount on 3- or 6-month plans PLUS 1 free month! Q. What types of exercises will you be sharing? A. Exercises will be bodyweight only, mostly plyometric (e.g., squat jumps). Q. What if I'm a beginner or can't do high impact? A. I will provide modifications for all exercises so that anyone can do them. Q. Can I do these exercises if I am already on a workout plan? A. You should be able to complete the exercises in addition to any other workout, however, the length of time to complete will increase with each day as the exercises build. Q. Why do I have to leave a comment each day? A. Leaving a comment on the page each day lets me keep count of the number of workouts you complete and lets me know that you are doing the workouts each day. * Online Basic Training will include: 4 weeks of workouts: 3 days of full-body weights and 2 days of HIIT cardio, links to videos will be included for all exercises. Plan also includes 1 weekly email check in.